Google may get serious about VR with a solid plastic headset and “Android VR” software. As Google goes on a virtual reality hiring spree, rumors about the company’s VR hardware plans are starting to take shape. Citing unnamed sources, Financial Times reports that Google is working on a new virtual reality headset and a VR-optimized version of Android to go with it. The headset would come in sturdy plastic, with built-in sensors and lenses, similar to Samsung’s GearVR. Users would then insert a smartphone into the headset to provide the imagery and processing power. On the software side, Google will reportedly launch a new platform called “Android VR” that will work hand-in-hand with the new hardware. Financial Times suggests that this software optimization will reduce latency compared to current Google Cardboard headsets. Both products could launch some time this year. 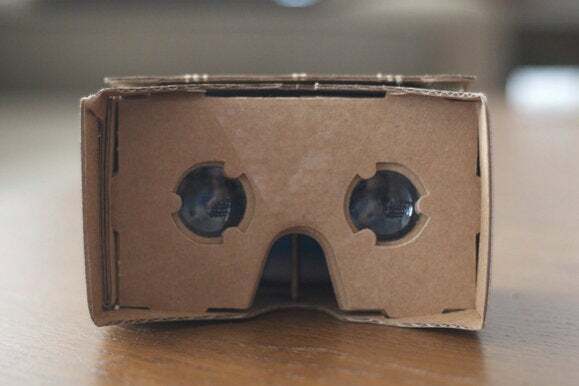 Google has been dabbling in virtual reality since mid-2014, when the company handed out cheap cardboard headsets to attendees at its I/O developers conference, and offered blueprints for anyone to make their own. Many third-party stores have since popped up to sell these cheap cardboard headsets, and as of last month, more than 5 million units have shipped to date. 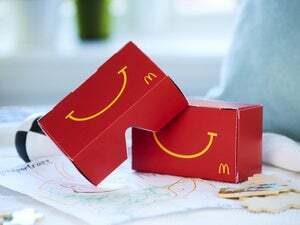 While most of the headsets are made from cardboard, Google also teamed with Mattel to create a VR version of its classic View-Master sets last year. As for software, Google offers Cardboard viewing apps for iOS and Android, along with software tools so developers can make their own apps. The company has also created a system for making 360-degree VR videos, and ready-made classroom packages for taking VR field trips. Why this matters: While hardware has been the focus of other VR efforts, such as Oculus Rift and HTC Vive, it’s been an afterthought for Google. The search giant has instead built an ecosystem atop cheap Cardboard headsets, wooing developers with millions of potential users. Still, these low-tech VR viewers aren’t conducive to more than a few minutes of tech demos, and risk becoming outdated as other companies add motion detection and gesture control to their own sets. With Google bulking up its staff and plotting new hardware, it sounds like the company is about to get a lot more serious about VR.